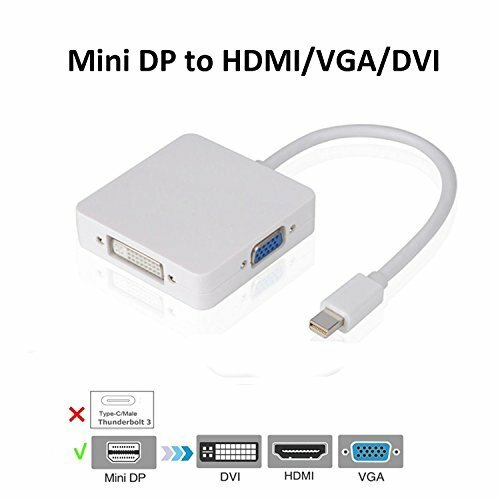 You can use one of them at a time as your demand, when you want to use the DVI output, you just need to connect the DVI devices with a DVI cable. And when you want to use the HDMI output, you just need to connect the HDMI devices with a HDMI cable. When you want to use the VGA output, you just need yo connect the VGA devices with a VGA cable. Automatic detect the display by plugging and unplugging it. Powered from Mini Display Port source. If you have any questions about this product by ICUTECH, contact us by completing and submitting the form below. If you are looking for a specif part number, please include it with your message.